If you are a conscious consumer who wants to clean your home the healthy way, or you need to save money, why not try mixing up your own cleaners? Throw out those toxic skulls in a bottle & save a ton of money! 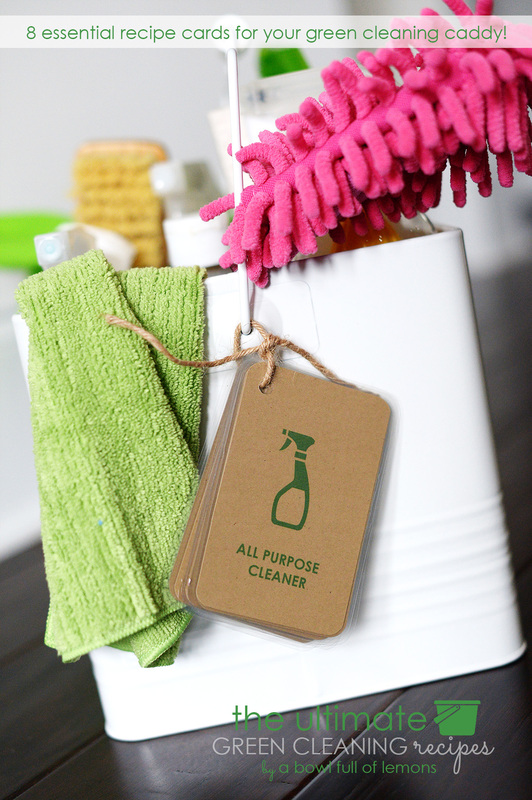 I have created the “8 essential green cleaning recipe cards” that you can attach to your cleaning caddy. When its time to mix up a new bottle, you won’t have to go looking for the recipes. Best of all, you will be creating a healthy enviornment for your family. Hang the cards on all of your caddies. 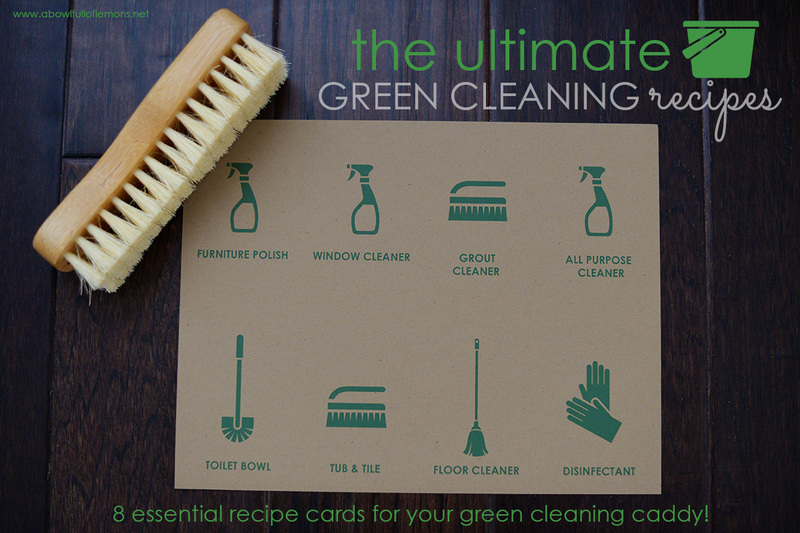 The Ultimate Green Cleaning Recipe Cards include 2 downloadable pdf 8.5 x 11 files for only $4.00. The front side has the title of the cleaners and the back side has the 8 recipes. You have the choice of grass green or teal blue font. *I purchased the Kraft Card stock at Michaels & I used a Purple Cow Laminator.